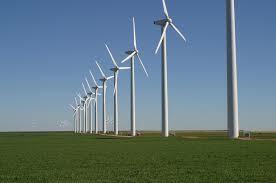 Statement from Scott Wood – Wind Farms – Conservative Party Policy. The Conservative Party has said it will not subsidise any new onshore wind farms should they win the 2015 General Election. East Yorkshire MP Sir Greg Knight and his parliamentary colleague Chris Heaton-Harris MP have led the campaign against windfarm subsidies. Sir Greg said there had been a division in the coalition. The Liberal Democrats had been in favour of continuing subsidies for onshore windfarms, this would result in higher energy bills as well as blighting our countryside. Without government subsidies onshore windfarms are not economically viable. Sir Greg also welcomed the Conservative pledge to change the law within 6 months of coming to power. The law would ensure that all applications for onshore windfarms would be handled by local planning and give local people the final say. The Times Environment Editor, Ben Webster, revealed that if Labour win the General Election in May they have secretly promised the renewables industry “thousands more wind turbines will be built across the countryside”. In the House of Commons Sir Greg is one of the sponsors of a bill that will end onshore windfarm subsidies. This bill is being opposed by Labour and the Liberal Democrats, and UKIP will not be able to deliver this.